Quick breakfast and of to Toyota in Ojiwarango hoping that they can solve Lipstick’s fuel diet and get it up to speed again. Very friendly staff immediately attended to the problem and after a test drive by the chief mechanic the verdict was:let’s change both fuel filters PLUS the air filter and the car will be fine. 1.5 hours later Lipstick behaved again like a real 4.2l turbo should and soon it touched the 150km/h mark on Namibia’s long and straight tar roads when all of a sudden a white bakkie with blue lights was trying to chase it. 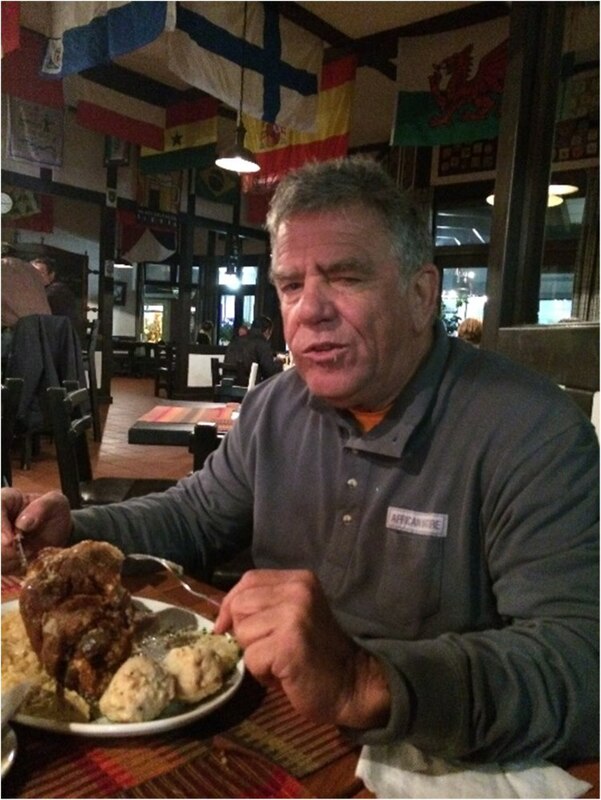 But Sir these lights we only use for camping…. Later team Lipstick found out that indeed the police is chasing cars with high up spotlights as this is mainly used by poachers. Off towards Swakopmund again on beautiful long straight roads this time with full throttle reaching speeds close to 150km/h without any traffic. 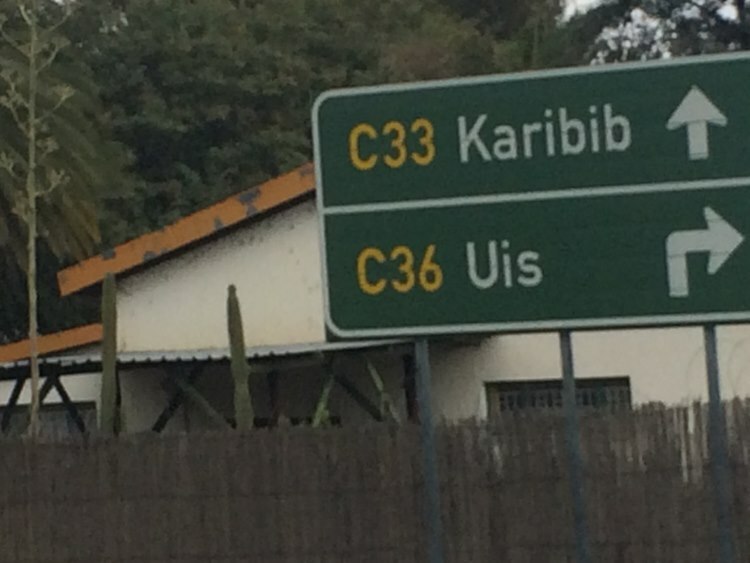 The road saw Lipstick passing through Kalksfeld on to Omaruru before reaching Uis where the decision was to drive via Brandberg or straight down to Henties Bay. 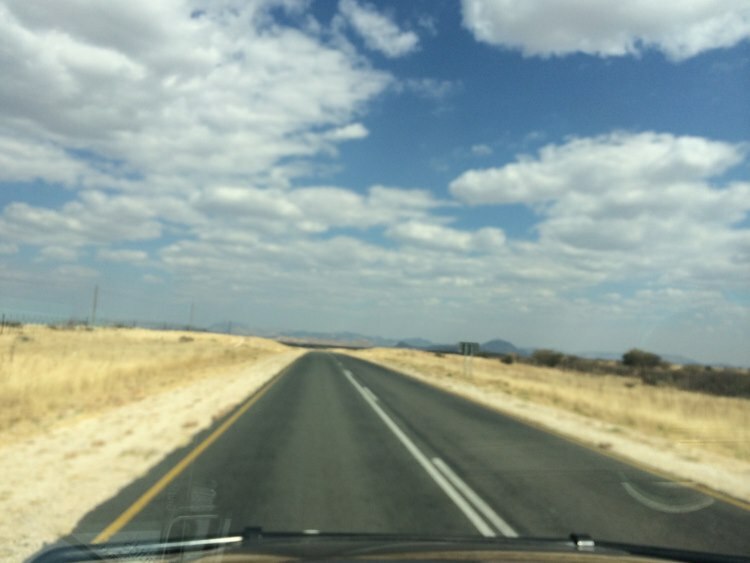 Due to the time constraints the team decided for the latter and hit the Namib Desert instead of the mountain. 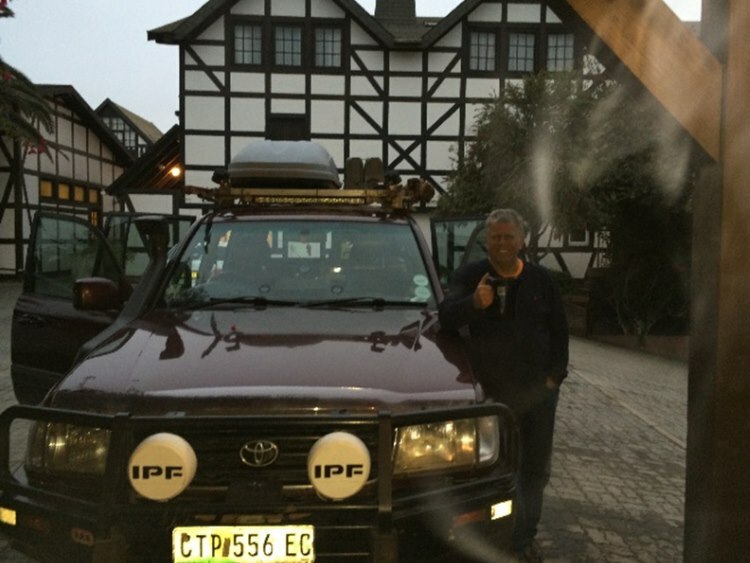 With Andre at the steering wheel – Willy took a time out with a great nap falling asleep at an outside temperature of 34 degrees in the desert only to wake up at the T – junction towards Henties bay. 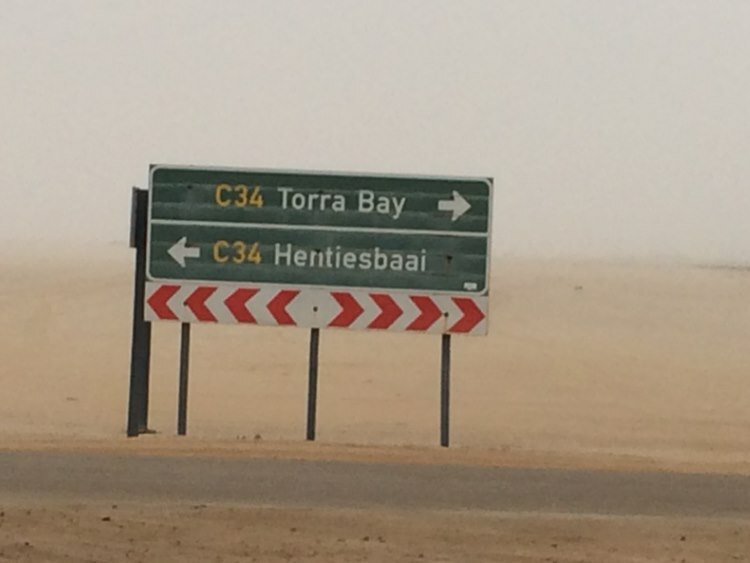 outside temperature of 34 degrees in the desert only to wake up at the T – junction towards Henties bay. There was mist all over and the temperature gauge of Lipstick showed an outside temperature of 15 degrees and being in total mist Henties Bay was reached where Andre was fishing some 35 years ago and looking for the pup where he used to drink more than Coke only. The town is consisting of some beautiful holiday houses mainly owned by up country Namibians and in itself the town is known to every serious fisherman in Southern Africa. 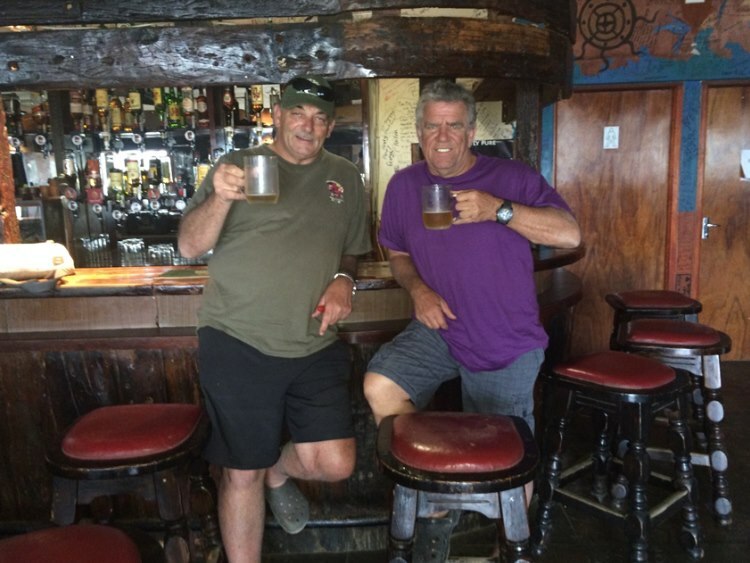 Andre’s nostalgic pub was found where many moons ago him and brother Rene beat every other human being playing darts until the sun rose and put them to sleep. 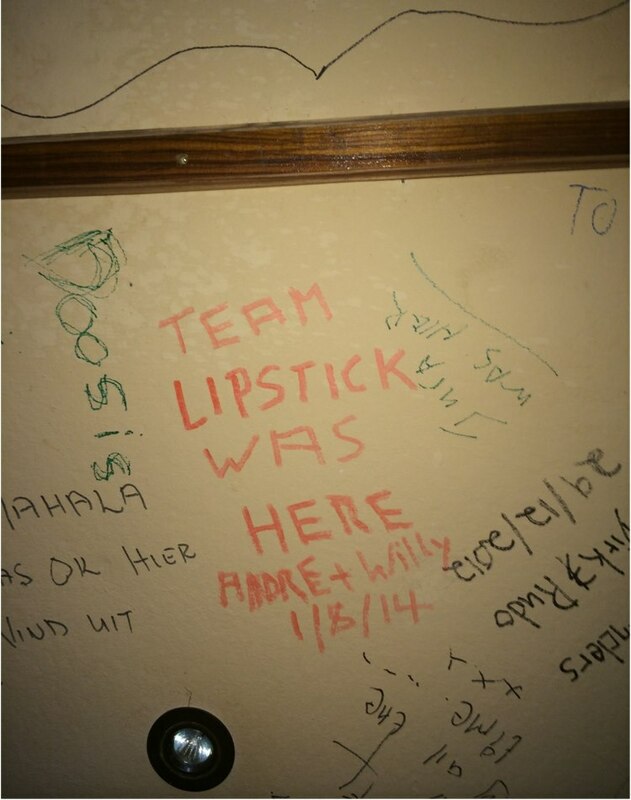 Every wall and ceiling in this pub is marked by who was there when- so team Lipstick also had to leave its mark on the ceiling. 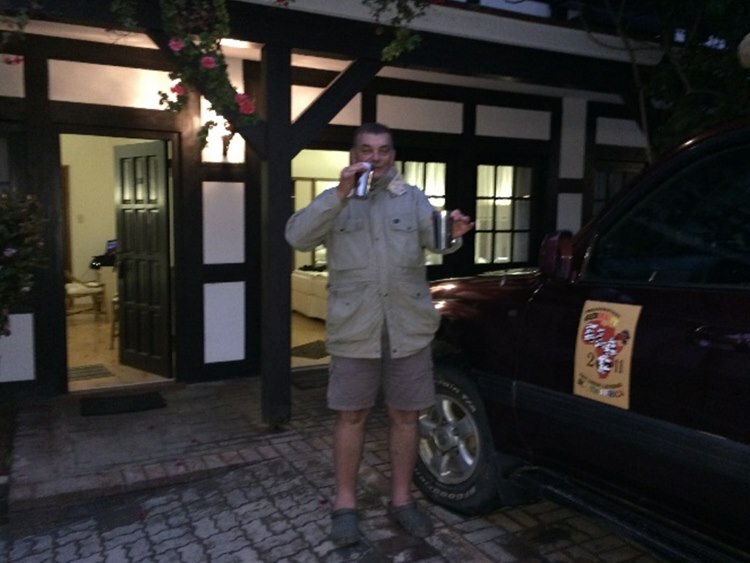 After a beer nearly as cold as the outside temperature Lipstick took the final path towards Swakopmund where the team stayed over in an old german B&B called the Europa Hof. 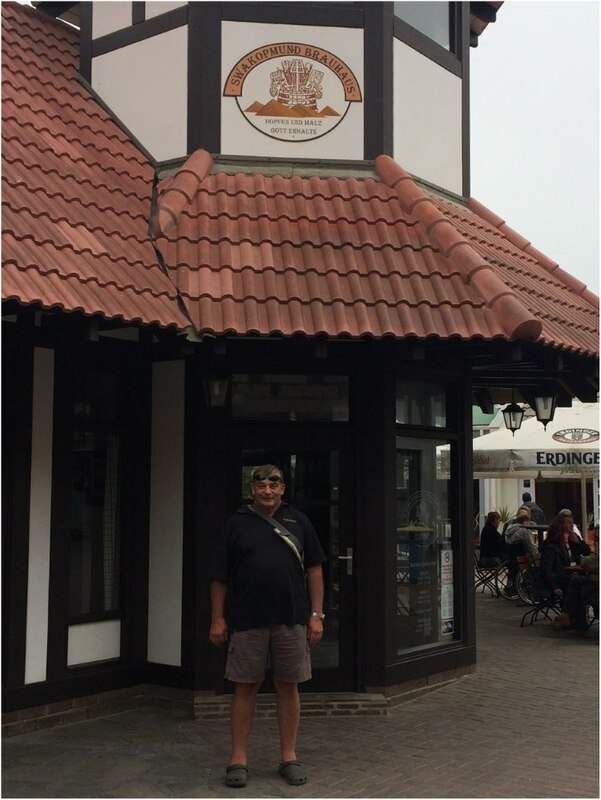 A quick shower and off to the best pub in Town – the Brauhaus for some good german food and thereafter back to the Europa Hof for loopdop with some locals all speaking german. 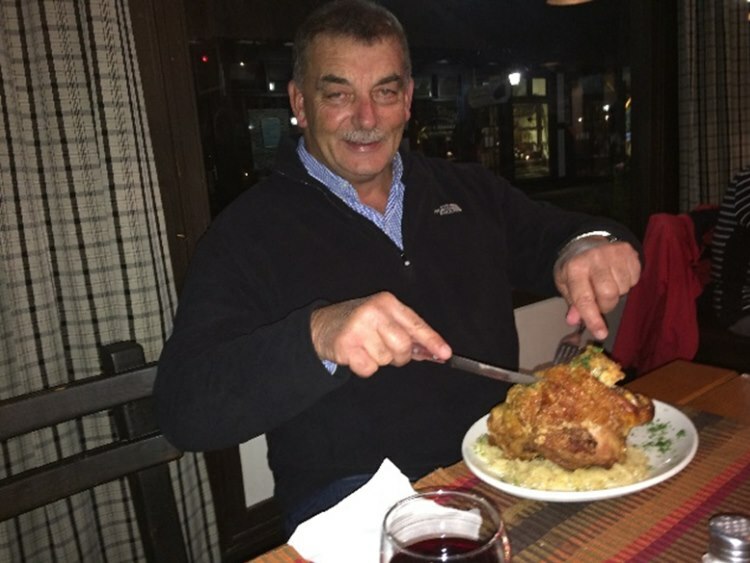 Lipstick apparently has reached the most southern town of Germany after taking off from there some 52 days ago.